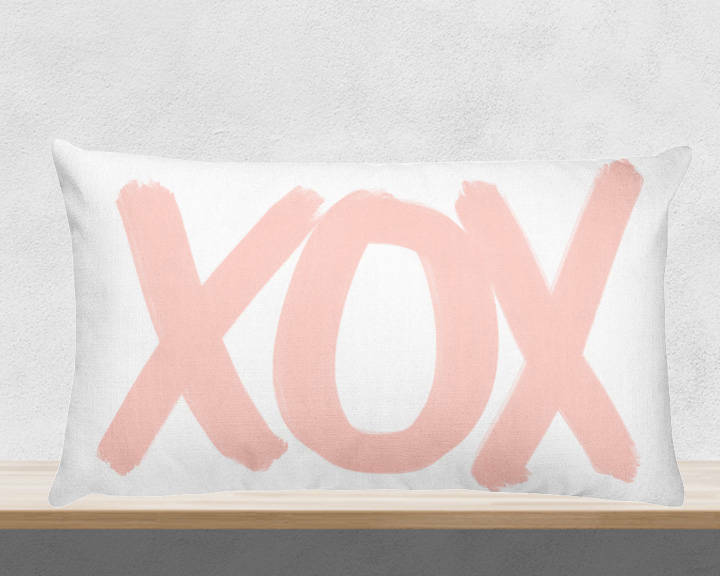 This painterly blush XO pillow is a perfect design statement for your loved one. Watercolor brushstrokes from my original digital painting. 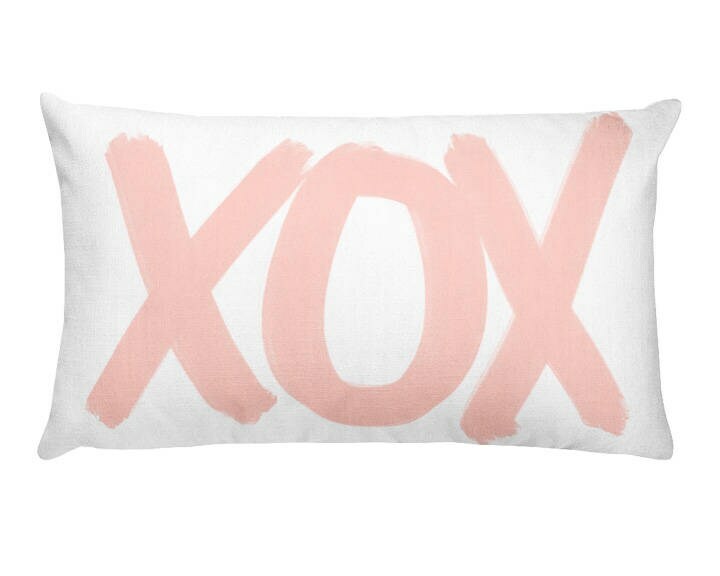 Available in XOX and XO. 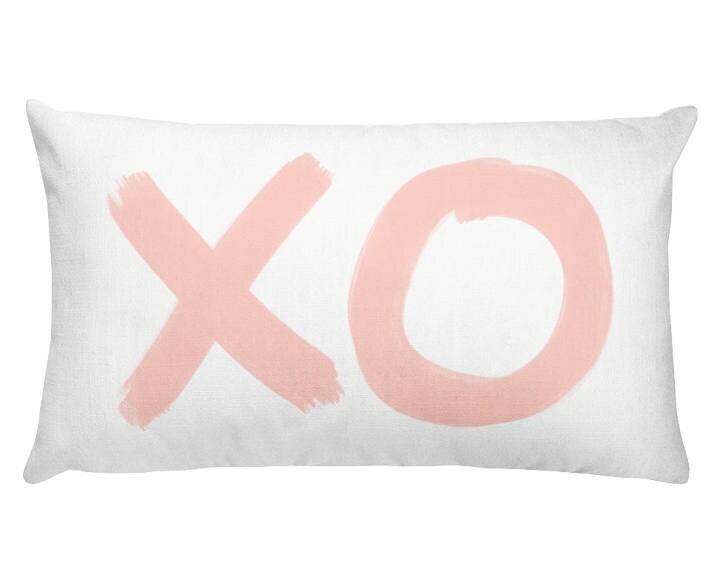 This pillow INCLUDES the insert and is is printed, cut and sewn using a very soft polylinen fabric in soft white that has a nice upscale feel and look to it. 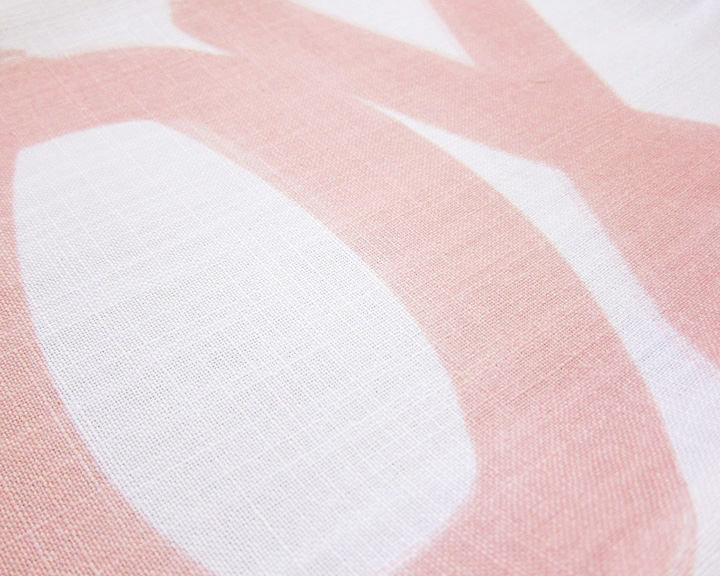 I'm super picky-I love this fabric! It's very soft and looks like linen. 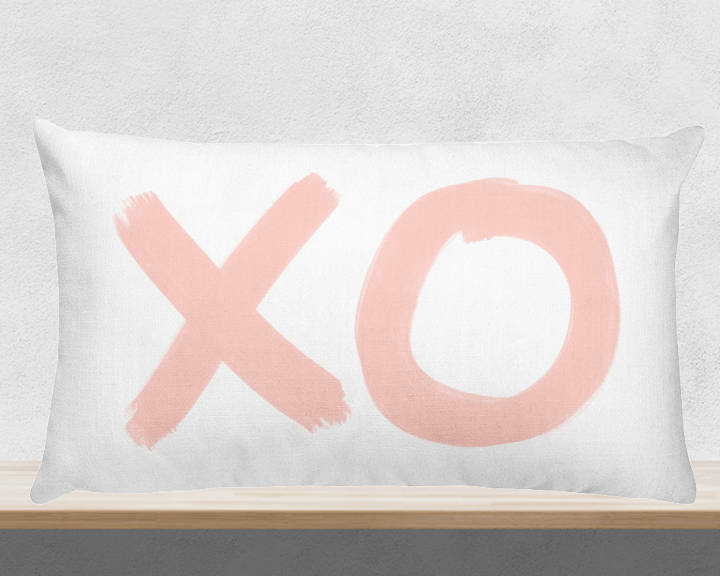 It is a two sided print, its finished with a zipper on the bottom and the inside seams are overlocked for a neat appearance. It is made in the USA.